Suing a huge Silicon Valley venture capital firm for discrimination may have made Ellen Pao's name recognizable nationwide, but she was a powerhouse long before the court case. 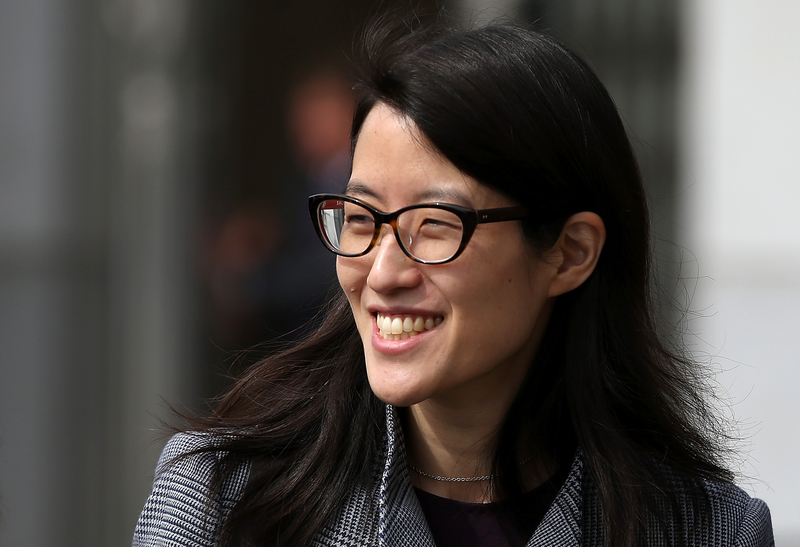 Pao is suing Kleiner Perkins for $16 million for discrimination and retaliation. According to her complaint, she believes that the firm retaliated against her for raising a harassment complaint. A successful lawyer and interim CEO of Reddit, Pao has accomplished a lot in her career and has a life outside of this lawsuit (shocker, I know). The lawsuit, filed three years ago, focuses on Pao's complaint that a male colleague pressured her into having an affair with him and retaliated when she broke things off. She allegedly lost out on promotions and raises because of discrimination against her, along with other forms of widespread gender discrimination throughout the company. Kleiner Perkins fired Pao five months after she filed the lawsuit, according to The Wall Street Journal, not helping the firm's public image in the case. Pao's parents immigrated to the U.S. from China, her father a professor at New York University's Courant Institute of Mathematical Sciences. She and her two sisters grew up in Maplewood, New Jersey, "raised by enginerds on Star Wars, computers and books," as she put it on Reddit's company blog. She's worked with dozens of tech companies across the globe, a very male-heavy industry, to help build an array of companies. Here's a look at some of her impressive accomplishments. Pao attended two of the most renowned universities in the country: Princeton and Harvard. She completed her undergraduate degree in electrical engineering in 1991 and her law degree at Harvard Law School in 1994. Smart much? In 2005, Pao joined Kleiner Perkins, which she's now suing, as the chief of staff for the firm's leader, John Doerr. The job required an engineering degree from a prestigious university, degrees in law and business, and a background in enterprise software, all of which Pao possessed. She was appointed a Crown Fellow of the Aspen Institute, an international nonprofit, in 2007. Doerr, a trustee of the organization, recommended Pao for the leadership program for impressive young professionals. Pao became a junior investing partner at Kleiner Perkins in 2010. Although an accomplishment in itself, she claims in her lawsuit, that three male colleagues were promoted above her from this position, adding to discrimination she felt at the company. Pao joined Reddit in 2013 and took over as interim CEO in 2014 when Yishan Wong resigned. "Because of her combination of vision, execution, and leadership, I expect that she’ll do an incredible job," Sam Altman, Reddit's lead investor, wrote on his blog announcing the new Reddit team.